This time of year most people think about decorating with pumpkins outdoors… You know, those big orange things? The ones you make into very cool Jack O’Lanterns? 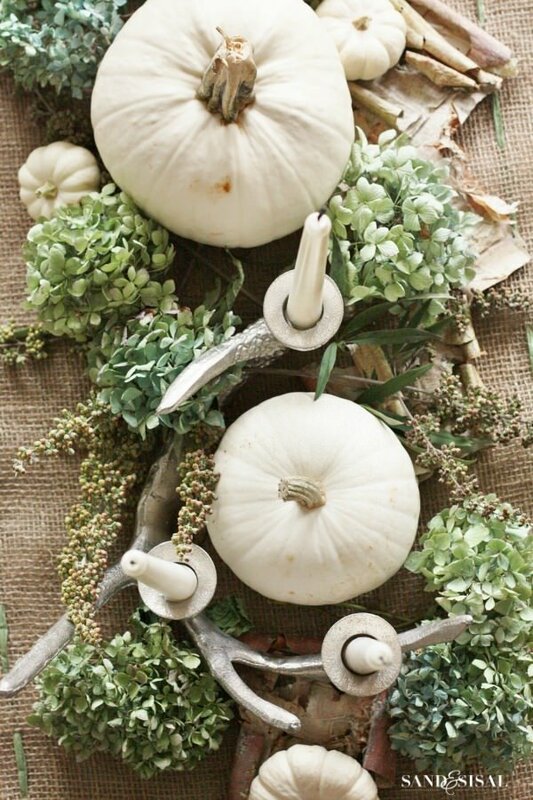 I have a thing for using fall pumpkins and gourds to decorate indoors as well. It really is an inspiring look that brings out the nesting instinct. Something about the harvest just kinda takes me back to our roots. A simpler time where home and hearth was everything? And all the textures and colors of these veggies… I love the bumpy, little bit crazy ones. They seem more organic to me. Perfect elements of nature to pile in corners, on tables used as centerpieces. Fall decorating with pumpkins…Yes, please! We love this DIY pumpkin idea from ‘Just Destiny‘. Decorating with pumpkins for fall just got easy with this simple tutorial, She actually turned this into 2 pumpkins that hang on the pantry wall. Love this! 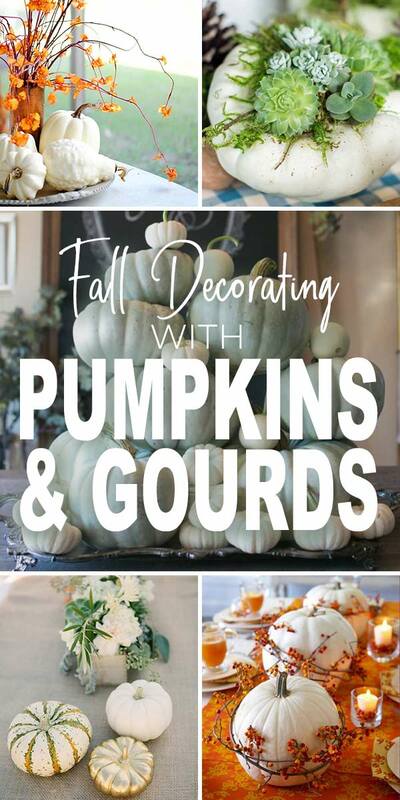 Next we have these ideas for decorating with pumpkins from the ‘Liz Marie Blog‘. Yep, white and blue pumpkins! Yvonne at ‘Stone Gable Blog‘ has some amazing inspiration for you. So many cute pumpkin decorating ideas here I had trouble choosing which ones to use! The following two are her fall pumpkin decorating ideas from her fall home tour. 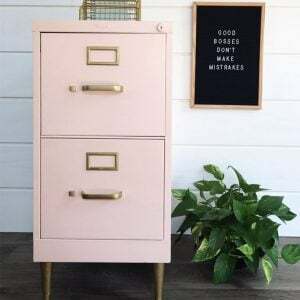 From Jenna at ‘SAS Interiors‘ (you’ve seen her work featured with us before, she’s amazing!) she simply found these lanterns at TJ Maxx, filled them with fall goodies, and had instant fall decor. 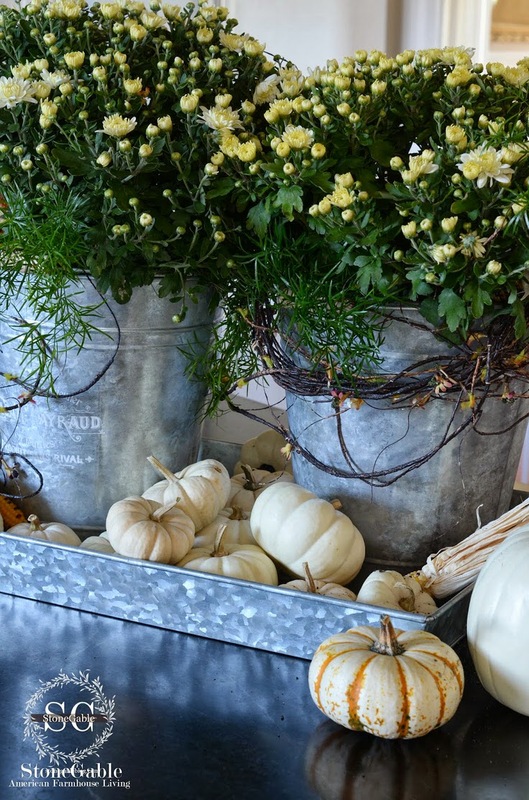 Jennifer at ‘Town and Country Living‘ sets an amazing table, and this white pumpkin centerpiece is one I’m going to use as inspiration this fall. 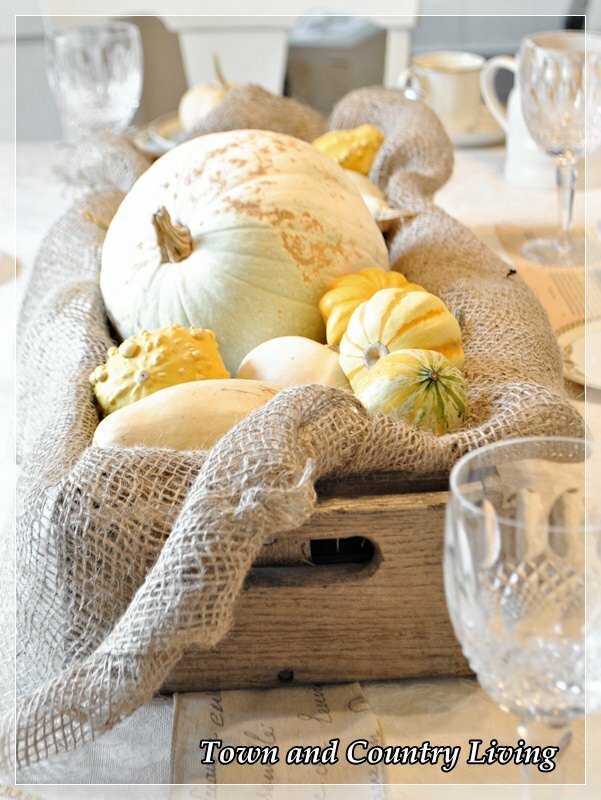 Simple but still a little rustic, easy to find burlap, a container of your choice, and an abundance of squash and gourds. So pretty! Take note: She didn’t line them up neatly in the container. They are all positioned kinda haphazardly to look like they were piled up right from the garden. That’s what makes this mini pumpkin decor work so well. 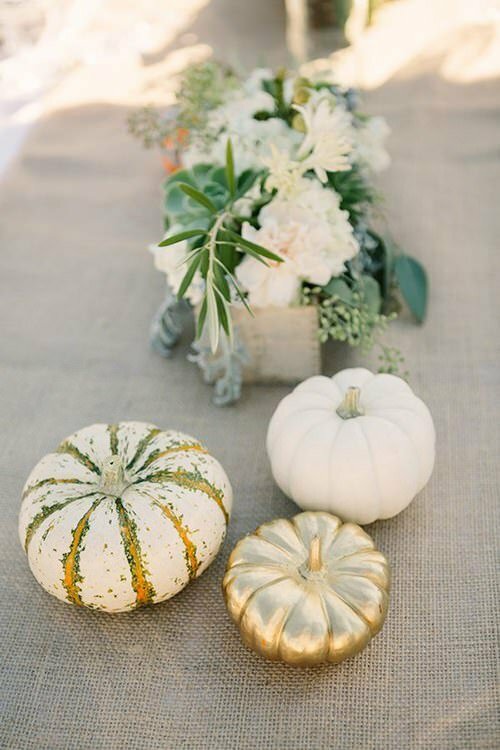 Kim from ‘Sand and Sisal‘ TOTALLY gets my fall vision of decorating with white pumpkins. This fall pumpkin centerpiece is AMAZING!!! 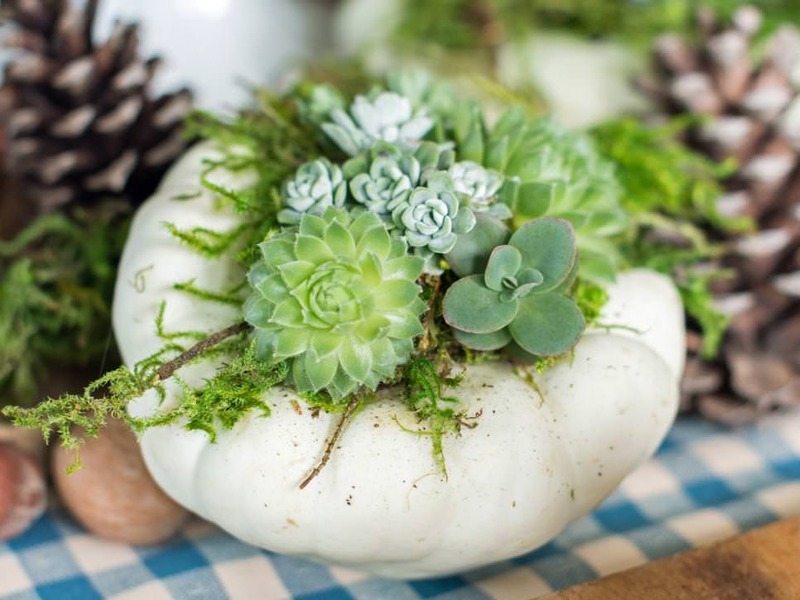 From ‘HGTV‘, decorating with pumpkins takes on a whole new character when you turn your pumpkin into a planter!Use live plants like these sedums, or even but flowers. Ok, so ‘Midwest Living‘ feels the same way I do about decorating with white pumpkins, but they added some berry garland to give it a little bit of that fall color punch. Pretty and can be done in about 5 minutes. 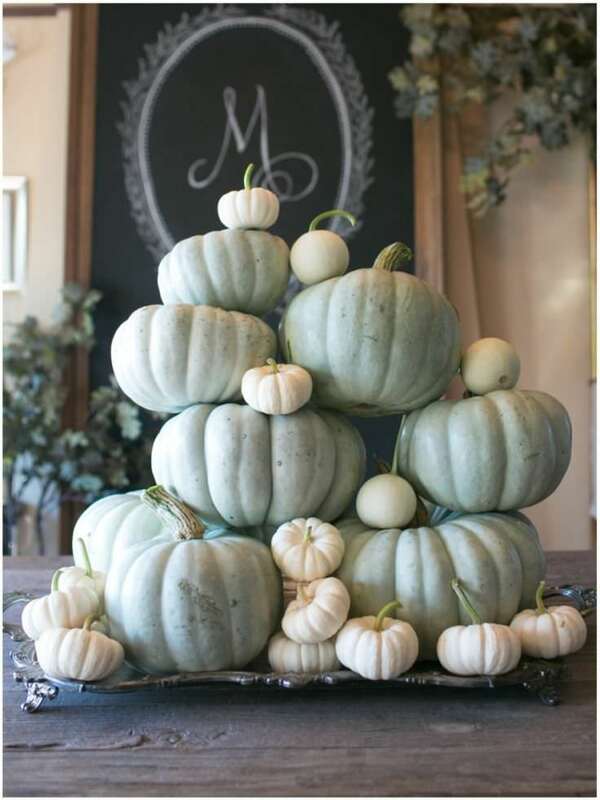 Also from ‘Midwest Living’ – Use thrift store candles and a can of spray paint to make your mini pumpkins the star! From Karin at ‘The Daily Basics‘, this is a fresh take on using pumpkins (and other veggies, like kale and other greens) as a centerpiece. Love this! 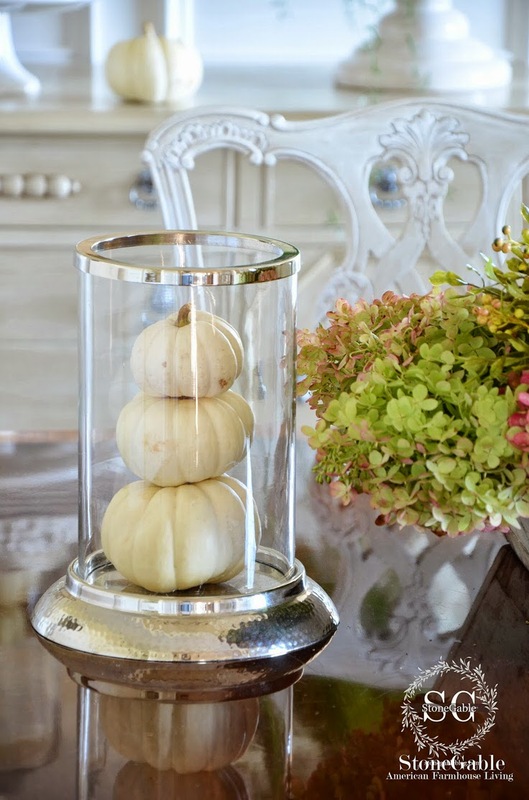 From ‘BHG‘, this organic take of a fall cloche could be used on any style table, or would be really fresh as a coffee table decoration for the season. 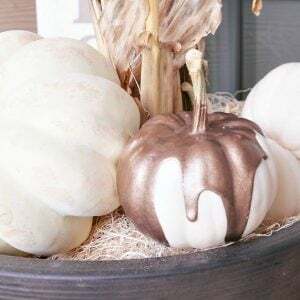 This is a great idea for decorating with pumpkins that take it just a little bit farther, allowing you to include nature finds, gourds or even floral picks as well. 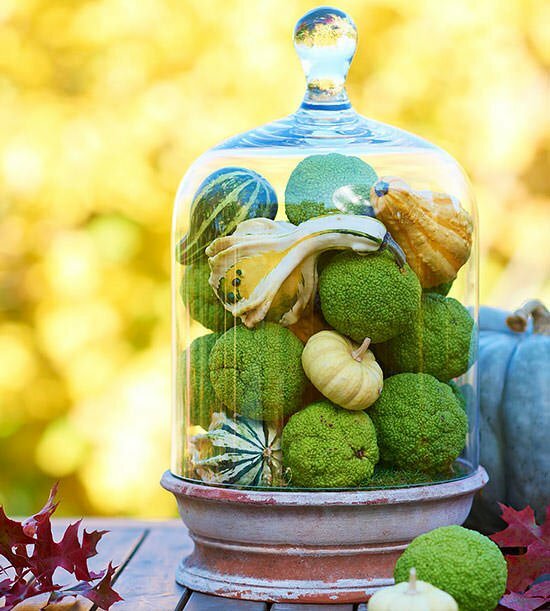 From ‘Nell Hill‘, this is another really charming cloche idea for decorating with pumpkins for fall. We have some great tips from ‘By Stephanie Lynn‘ that will help you make your pumpkins polished and preserved. Love these two easy tips. Notice that she loves those blue ones too! Want something a little different? This is a the perfect example of how you can make a fall decorating look really warm and inviting, and budget friendly! Carve our just enough space in the gourds so the candles fit tightly. Decorating with gourds, from ‘BHG‘. Decorate with pumpkins and gourds at the dining table, whether you have a big gathering or an intimate dinner. From ‘Brides‘. Last, from Jennifer at “Dear Lillie” she can put together anything and make it look like a million bucks! 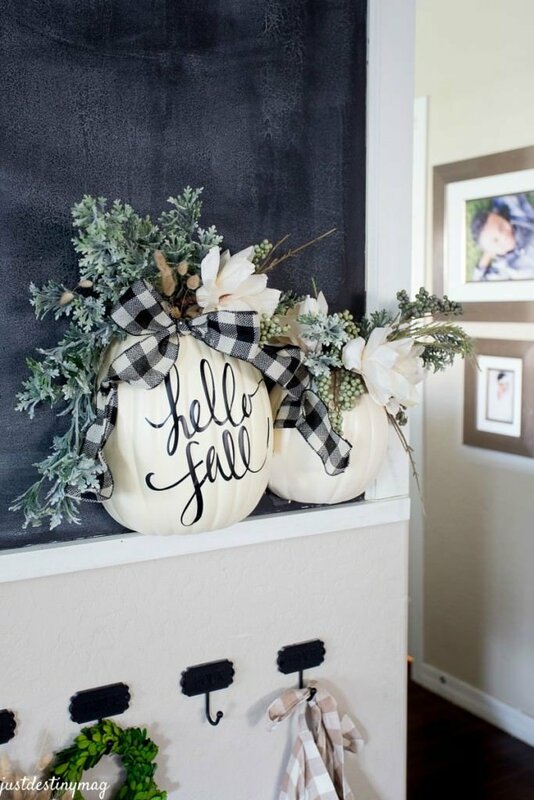 Love these ideas for decorating with pumpkins? 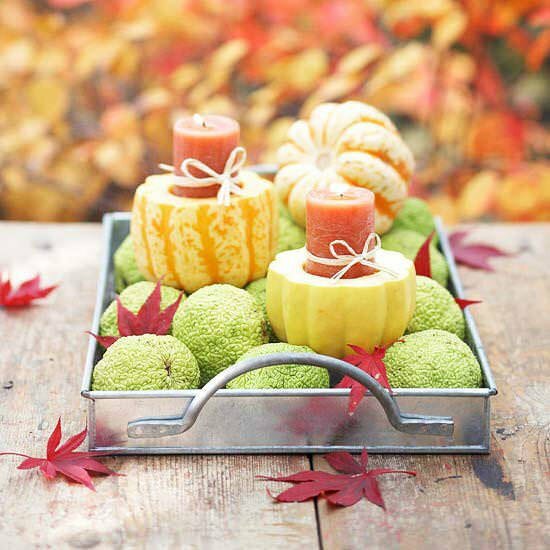 Try our post on DIY fall leaf projects or Fall Decorating : 10 Ways to Fall Cozy! Wow! Thanks for featuring my centerpieces! So honored to be included with all these gorgeous examples. Love them all! Thx for such a great project to share with our readers Jennifer! Happy Thanksgiving!